Michael, a professional termite treatment specialist. Owning a home is expensive. Rates, electricity, mortgages, bills and more. It never seems to end. You are probably considering to protect your home from termites. So as you stand at the insecticide isle at Bunnings, overlooking the very cheap bottles of termiticide you think to yourself: I can save a lot! Especially when you know that a professional barrier treatment for a small home is $1,500.00 and upwards. The DIY movement is big, and it makes sense, when the expanses of living are so dear. But in the case of termite protection, there are several reasons why you should go with a professional termite treatment company and not do it yourself. The DIY products are inferior to what a professional supplies. What is on the market is not a termiticide, but a repellent. A repellent deters the termites. This means it does no harm to the termites, it just makes them not go to that specific spot. If you missed a bit they will go through there, or most commonly just go around the repellent. The termiticides that a professional provides on the other hand does not scare off termites. As the termite cannot taste it, smell it or detect it in any way; they bring the product back to the colony and it kills the colony from within. Because the termiticide is slow acting thousands of termites will pass through and bring it back to the colony unknowingly. Not only does it work in a different way, the professional products also go through massive testing before entering the market. Due to liability and safety DIY products are diluted so that you won’t get poisoned. This means they are not strong enough to do the job they intend to do. The tools a professional carries ensures consistent and deep penetrating barrier. Most termites are deep in the ground, and you probably don’t have the power tool which injects the product under high pressure deep into the soil evenly around your home. The professional termite exterminator also has expertise in how to apply the exact right amount and mixes of termiticide. You can trust that it is safe for both humans and pets, but still offers sufficient protection. The amount of active product going into the soil is massive, several hundred litres for a small home. The bottles at Bunnings won’t get you far. Another issue if you do it on your own is that you most likely do not have the proper knowledge and expertise. Are you aware of all the possible entry points for the termites? Do you know exactly how and where to apply the product? And how sufficient the protection will be? 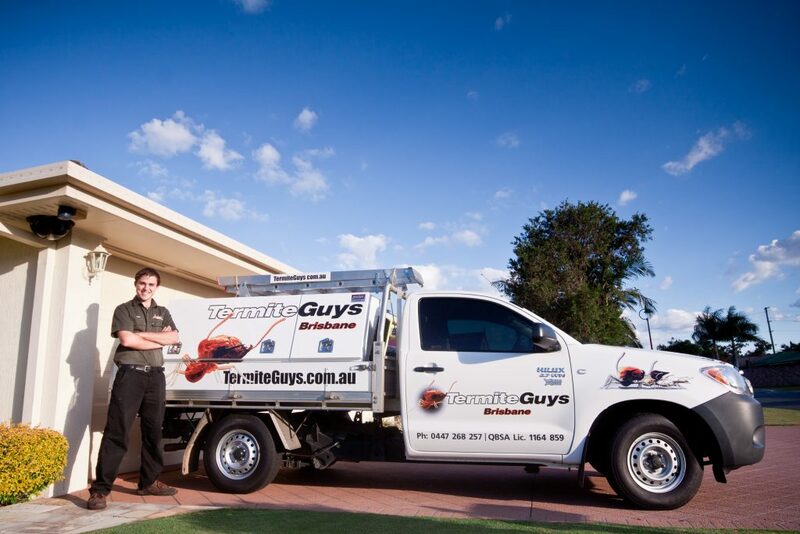 There is good reason to go with a professional such as Termite Guys Brisbane. As all of our Technicians hold current ‘Queensland Health’ Pest Management Licenses, are fully trained and familiar with all aspects of Termite and Pest Control. Another important issue with DIY solutions are that they lack the cover of insurance! If you get termite damage to your home most Australian home insurances will not cover this. Read more here. A professional termite business carries an insurance which will cover you if something goes wrong. As the damage of termites can be devastating this is another precaution worthy to consider. 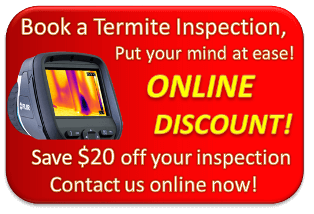 Termite Guys Brisbane are insured with Rapid Solutions Pacific International, and we also offer Timbersecure insurance. This insurance protects you for 5 years after installing a termite barrier with us. If you are interested in a professional, please contact Michael!